Lyft, the 7-year-old ride-hailing company and Silicon Valley darling, and Levi Strauss, the 166-year-old denim company with San Francisco roots, have both gone public in the last two weeks. Demand for the two initial public offerings — and in Levi’s case, a return to the stock market — suggest investors may be gunning for one thing: growth potential in a slowing economy. Watch Lyft and Levi’s trade live. Lyft and Levi Strauss share little in common at first blush. One is a young, money-losing ride-sharing company that’s attracted billions of dollars in funding over the years and is known for its unmistakable bright pink color scheme. The other is a global denim giant that’s been around for the better part of two centuries, with roots in San Francisco’s gold-rush era, and claims to have invented blue jeans. Yet both have gone public in recent weeks, hitting the Nasdaq and the New York Stock Exchange, respectively, during the first quarter of what’s expected to be a banner year for high-profile initial public offerings. And their IPOs were both oversubscribed. In other words, investors’ demand exceeded the shares initially issued by the companies. Levi’s raised nearly $717 million in its return to the public markets, above the $550 million expected, according to data from IHS Markit, a market intelligence firm. Lyft, meanwhile, raised a whopping $2.34 billion in its IPO, according to a Reuters analysis. While their public debuts offer a piece of two very different industries and brands, demand for Lyft and Levi’s IPOs suggest investors may be looking for the strong growth potential against a slowing economic backdrop. 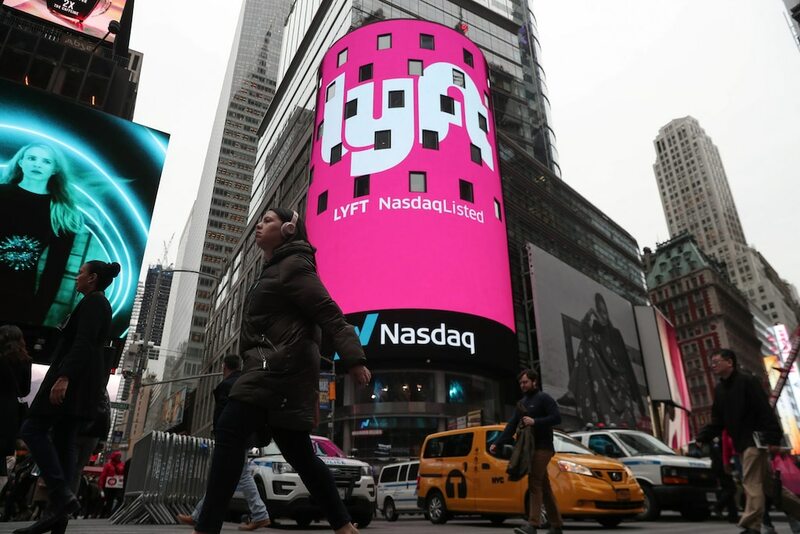 The strong demand for Lyft and Levi’s IPOs suggests investors are searching for non-cyclical names at a time when economic growth in the US is hitting a snag, said Jordan Stuart, a portfolio manager at the financial services firm Federated Investors. “We’re seeing the IPO market is heavily weighted to biotech and technology companies because I think there’s a lot of investor demand for non-cyclically sensitive companies who can control their own destiny,” Stuart, who is part of a team managing small, mid- and large-cap growth equity portfolios, said in an interview on Friday. “Investors are saying, ‘I’m not sure what growth is going to be next year,'” and leaning toward companies that may not heavily rely on the broader economy’s health, Stuart said. Companies benefitting from secular growth trends are falling into favor as the broader growth picture remains uncertain, Stuart added. As far as Lyft and Levi’s are concerned, Lyft has been able to compete in the ride-share market, while analysts are optimistic on Levi’s ability to transition into a growth story as a legacy retailer. Levi’s reported net income of $285.2 million for the 12 months through November 25 of last year, little changed from the year prior. Its net revenue came in at $5.8 billion, up 18% from a year prior. To be sure, it remains to be seen whether Lyft — which was born in the ashes of the global financial crisis and lost $911 million last year — can actually weather a recession. It posted revenue of $2.2 billion in 2018, more than double the $1 billion from the year before. Still, investors today have an appetite for “strong companies that play into strong secular trends,” said Dan Ives, an analyst at Wedbush, who initiated coverage on Lyft with a “neutral” rating.